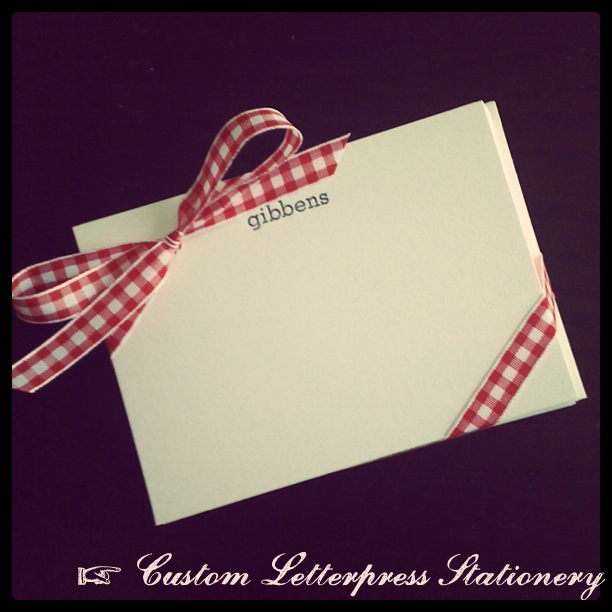 Did you know you can get custom letterpress stationery in the Blue Eye Brown Eye etsy shop? Yep, you sure can! 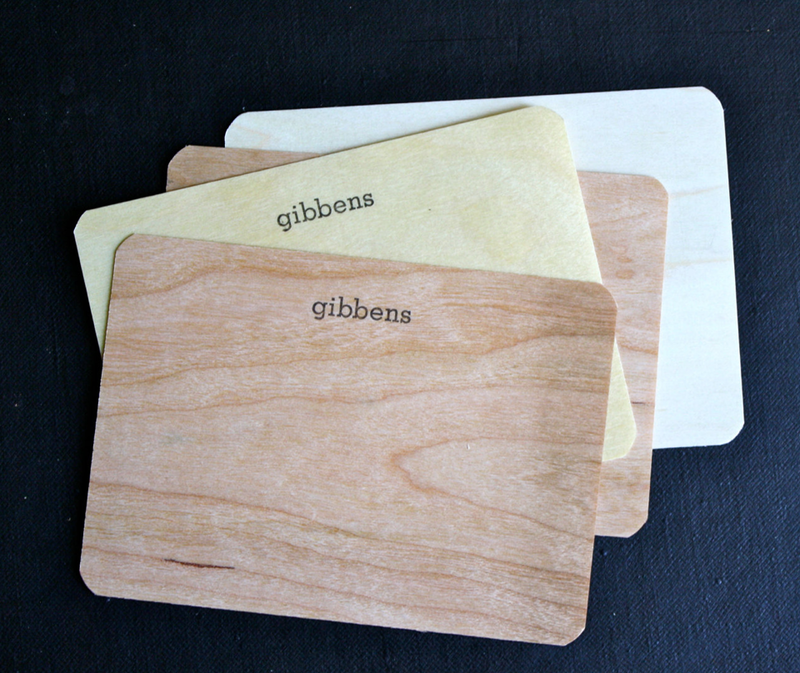 There’s a classic set on 100% cotton paper (above), and a brand new set printed on wood veneer (below). They’re printed with hand-set vintage type on the good ol’ Kelsey press!